The Travel Analysis Process, or TAP, is set to begin in Mt. Hood National Forest this month. It may sound boring but it will determine the future of how, and maybe if, you get to your favorite trail, campground, or fishing hole for decades to come. Speaking of taps, Nestlé is still trying to take our public spring water in the Columbia River Gorge. I’ve included a brief update on the Keep Nestlé Out of the Gorge Campaign below. PS – Learn about edible native plants! Nature’s Camping Spices is tonight at Laurelhurst Park. See Bark Summer School for details. Road Rage: Why all the fuss about roads? Bark Tales: Want to volunteer? Go roadtruthing with Bark! 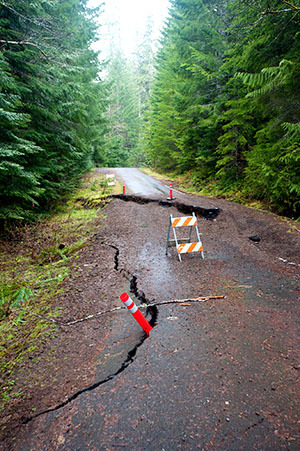 Tell the Forest Service to remove old roads! Decommissioning miles of unneeded roads in the Wildcat Mountain area has reduced damage by ATVs, vandalism, and illegal dumping. 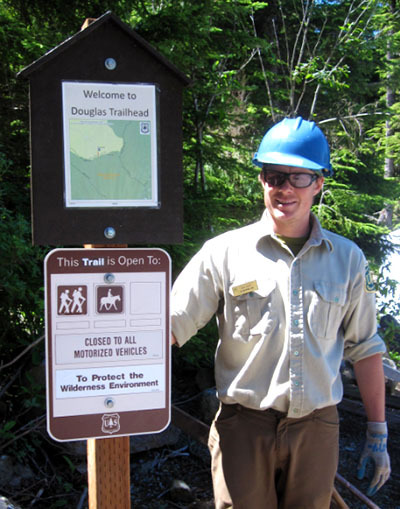 Even better, volunteers from our ally Trailkeepers of Oregon recently built ½ mile of new trail from the relocated Douglas Trailhead to connect to the Douglas Trail in the Salmon-Huckleberry Wilderness. These positive changes benefit Mt. Hood and we want to see more of them. But we need your help. The Forest Service has a big opportunity coming up soon. During the Travel Analysis Process, starting this month, you’ll get to tell the agency which roads are needed for recreation access and which should be decommissioned to reduce impacts to water quality, salmon runs, and wildlife habitat. 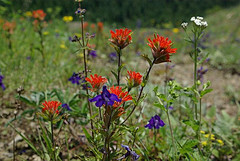 But first you can let Forest Supervisor Lisa Northrop know that the agency did the right thing in the Wildcat Mountain area, and that you want her to do the same in the Clackamas, Hood, Sandy, and White River areas. Environmental groups already face steep odds when it comes to enforcing environmental laws because federal judges defer to federal agencies over non-profit organizations. 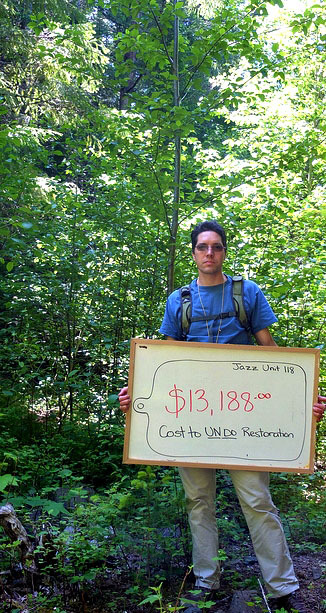 But the U.S. Department of Justice is upping the ante—and now Bark owes $2,148.57 for challenging the Jazz Timber Sale! Because as part of a nation-wide effort, the Justice Department is forcing environmental groups to pay for the costs of litigation if they lose. And this trend is having a chilling effect on public interest groups that challenge the agencies and corporations that violate environmental laws. To the U.S . Government, $2,000 may be no big deal. But to non-profit organizations like Bark, it is five times the cost of our 50 person, 10-day Collawash Campout. Watchdog groups like Bark enforce environmental laws to protect the places you love — places like Mt. Hood National Forest. That’s why, in spite of these disturbing new intimidation tactics, Bark will be stepping up to the plate again and again for Mt. Hood. It may cost a little more — but it’s worth every penny. What's the real dirt on roads? What do roads have to do with the environment? As it turns out—a ton. The fact is, roads are a HUGE problem. The road system in our Federal Forests laid end to end would circle the equator 15 times. And the roads right here in Mt. Hood would stretch all the way to Miami, Florida. And according to the Forest Service, sediment contribution from roads to streams is greater than all other forest management activities combined. That means there’s a direct tradeoff between road volume and water quality. Bark volunteers are awesome! You probably already know that they Groundtruth proposed timber sales — but did you know they Roadtruth to gather information about the environmental impact of Mt. Hood’s 3,000 mile road network too? Best of all, we’re going to be Roadtruthing this summer and fall as part of our work on the upcoming Travel Analysis Process (TAP). The Forest Service needs to reduce the environmental impacts, size, and cost of the massive road system in Mt. Hood National Forest. Bark is working to identify which roads can be decommissioned to reduce impacts on wildlife, and which can be converted to trails to bolster recreation. In the coming months we’ll need your help to do the fieldwork needed to verify the condition of roads that we think should be removed from the forest. Stay tuned for details about how and when you can help with this important work. “What is up with Nestlé?” Bark gets that question a lot these days. If you’re new to the area or new to Bark, we have been fighting a proposal by Nestlé Waters North America to take and bottle 100 million gallons per year from Oxbow Springs—a public water right currently used by the Oregon Department of Fish and Wildlife to raise threatened Columbia River salmon. Click here for more background. December, 2013: Bark and Food & Water Watch, represented by Crag Law Center, lost our first contested case hearing. We filed “exceptions” to the ruling with the Oregon Water Resources Department. December, 2013: Governor John Kitzhaber announces plans to run for his fourth term as Oregon Governor. Kitzhaber continues to be unwilling to reverse his predecessor’s mistake—then Gov. 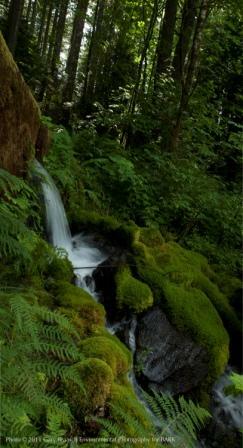 Kulongoski directed the Oregon Department of Fish and Wildlife to exchange Oxbow Springs water to support Nestlé. May, 2014: We learn that the Port of Cascade Locks, which owns a large portion of industrial land in Cascade Locks, is trying to facilitate an agreement in which Nestlé will pay the Port now to have the first right to purchase land if the bottling plant gets the go ahead. May, 2014: The Port of Cascade Locks requests the Oregon Department of Transportation to remove the restriction on long-trucks running down main street (WaNaPa St.) in Cascade Locks—a restriction requested by Cascade Locks only a few years ago. June, 2014: The Oregon Water Resources Department announces an “amended proposed order,” siding with many of our exceptions, but does not change the ruling. Bark files exceptions once again. August, 2014: The Oregon Water Resources Department will issue a “final order.” If we win, the Oregon Department of Fish and Wildlife will lose its right to the spring water it has proposed to exchange away. If we lose, Bark and Food & Water Watch will consider challenging the final order in the Oregon Court of Appeals.